Northern Georgia Northern Georgia U-Pick farms: Find a pick your own farm near you in Northern Georgia for fruit, vegetables, pumpkins, organic foods,local produce and more! Looking for a local, pick-your-own farm in Northern Georgia? Scroll down this page and you will see the U-Pick farms in Northern Georgia, sorted by county. Those that offer organic or sustainably grown produce are identified by the words "organic" and/or "sustainable" in Green, next to their name (see "What does Organic mean?"). The U-pick crops they offer follow the name of the farm. To search the page for a specific crop, use Ctrl-F (or on an ipad or Mac, use their "search on this page" function) If they have a website, the name will be in blue and underlined; click on it and it will open their website. If you find anything outdated or inaccurate, see the customer and farmer menus (as appropriate) at the top menu bar to submit updates and corrections and help me keep each current! Guide to Apple varieties grown in Georgia: harvest dates, photos and characteristics. New: If you are looking for wineries in Georgia for a tour or tasting, see this page. 4801 Highway 52, Dawsonville, GA 30534. Phone: 706-265-3701. Alternate phone: 800-600-BURT. Burt's farm we have pumpkins that range from an eye popping 150 lbs. to a modest 1 lb. We grow thousands of pumpkins, so the selection is vast and the quantity is never ending. One of the most fascinating features of Burt's farm is the impressive selection of every type of pumpkin, winter squash, gourds and fall decoration. Indian corn, cornstalks and hay bales are also in never ending supply at the farm. We also offer hayrides and fieldtrips pulled by our John Deere tractors that take you through a winding trail filled with nature and beauty. Don't forget to verify the "barn" store for Burts fresh baked pumpkin pie and pumpkin roll, candied popcorn and a whole assortment of other goodies, also shop for Burt's farm wear and other fall decorations. 843 Collins Road, Morganton, GA 30560. Phone: 706-374-5674 Click here for a map to our farm. We are open July, August, September. Our hours are: Monday through Saturday. Call for hours. Bring containers. No pesticides are used. Late July through September. Comments from a visitor on July 02, 2016: "The Blake Collins Blueberry Farm in Fannin County, GA is absolutely amazing!!!! No pesticides & my kids had an incredible blast! Even my 1 year old was picking these gorgeous yummy blueberries that just popped in your mouth! And the owners were the nicest, cutest couple ever! Cannot recommend more!!! If you try their blueberries, you will never want to buy store-bought again!!!" Comments from a visitor on September 09, 2008: "We visited the Collins this weekend and were highly impressed! They are so sweet! The blueberries are wonderful and the Collins let you eat as much as you like while you pick. Our 3 year old and 22 month old loved it! Only $5 for a gallon! Bring your own container to take them home. Also make sure you call before you go. They do not have set hours. The Collin's place is also very close to Mercier Orchards. Mercier Orchards is fantastic and all the people are very kind. You choose which size bag you want for apple picking ($8 for a small bag and $10 for a larger bag). They take you on a tractor ride into the orchard and drop you off. A guide tells you which apples are good for picking and each row of apples has a sign telling you what they are. Mercier Orchards lets you eat as many apples as you want while you pick. If you have never had a certain kind of apple before they say just try it and if you don't like it throw it on the ground and move on. We had a blast! The store is great fun too. You can look through glass and watch how they clean and package the apples. This place is a must see! " 8660 Blue Ridge Drive, Blue Ridge, GA 30513. Phone: 800-361-7731. Alternate Phone: 706-632-3411. Fax: 706-632-2685. Email: [email protected]m. Open: every day from 7 am to 6 pm; Closed 4 days a year: Easter Sunday, Thanksgiving, Christmas, and New Years Day. Directions: Click here for a map and directions. Strawberries: End of April to Mid May (Please call the store before making the trip!) Cherries: May Blueberries: June; Apples End of August - Late October; Orchard Tractor Rides May-October. Payment: Cash, Check, Visa/MasterCard, Discover, AmEx. Through October, we will be picking fresh apples every Saturday and Sunday from 10-4, weather permitting. This is a great way to not only enjoy the simple pleasure of picking your own fruit, but enjoy the fresh Fall air while you spend time with your family and friends. Our knowledgable tour guides will tell you the ins and outs of picking your own, and give you useful tips for storing and enjoying the fruits of your labor. Pricing: Ten dollars ($10) gets one customer a peck sized bag to fill with freshly picked apples and a guided tractor tour. If you're not interested in picking, but would still love the tour the cost is $2 per person. Children 2 and under are free to ride! Comments from a visitor on May 15, 2010: "We went to this orchard to pick-your-own strawberries yesterday (5/14/10)and I cannot say enough about how nice they were... the ladies at the front, the people on the tractor (to and from) and TJ who was out in the field answering everyone's questions. We found it very interesting and educational about what they told us about the farm, it's history and how it's operated. We do not have children, but many others out there did and they seemed to be VERY children friendly. They did allow you to eat strawberries in the field, the only rule given was "Please put at least one berry in the bucket for each one that you eat!" LOL! They still had lots of strawberries ready and you could see more ALMOST ready for picking. But they were being picked relatively quickly so no telling how long they will have more... there were lots of picking customers coming and going. We had such a wonderful experience we are already planning our next trip for their next crop... Cherries :)!" 3743 Old Dalton Road, Rome, GA 30165. Phone: 706-295-2587. Email: [email protected]. Directions: Call for directions. Click here for a map and directions. Crops are usually available in April, May, June. Open: Monday to Saturday 8:30 am to 5:00 pm, Sunday 1:00 pm to 5:00 pm from mid April to June. Payment: Cash, Check. Homemade strawberry ice cream and jam available, containers provided. Prepicked berries are also available. Remember strawberry season only lasts a few weeks so come while we still have berries!! Come on out and see us and tell your friends!! Thanks and hope to see you at the patch soon!!! Comments from a visitor on May 02, 2011: "Took my kids to LCCL on Saturday, 4/30/2011 and had a blast! The strawberries were excellent - there are two large fields for picking your own, and they rotate so there are fresh berries to pick. The quality of the fruit was very good, as I bought some pre-picked as well as what we picked. The kids loved the homemade strawberry ice cream, and the train was an added bonus. The owners mentioned that if the weather stayed good (meaning we continue to have rain each week), they hope to keep the farm open through June. " 2416 Turkey Mountain Road, Rome, GA 30161. Phone: 706-295-1157. Email: [email protected]. Open: Monday to Saturday, From 10 am to 6 pm Sunday 1pm to 5pm. Directions: Click here for a map and directions. Payment: Cash, Debit cards, Visa/MasterCard, Discover, AmEx. Click here for our Facebook page. Comments from Blake: "This is my favorite orchard in Georgia! The produce is top quality, good prices, and the staff are all exceptional pleasant!" Comments from a visitor on October 02, 2011: "Great people! Great apples! My family love it!" Comments from a visitor on September 10, 2009: "We went to the Reece Apple House today on a 'home-school field trip' with several other families today. Unfortunately, due to an unavoidable, unforeseeable issue (which we were told usually only effects one day every few years LOL) we were unable to pick our own apples today. However, the owner came out and explained everything to us and was VERY accommodating!! The Orchard, petting farm, and House/Store themselves are very nice, I can't wait to go back and actually pick!! This will defiantly be an annual trip for us!" 9696 Highway 52 East, Ellijay, GA 30536. Phone: 706-273-3838. Alternate Phone: 706-273-9494. Fax: 706-273-3888. Email: [email protected]. Open: Pick your own apples 2018 is September 8th - October 28th on Saturdays and Sundays ONLY.. Directions: Highway 575 north to Ellijay, Georgia. Take Highway 52 east 9 miles and Hillcrest is on the right. Or: Take Highway 400 north o Dawsonville, Georgia. Go through Dawsonville on highway 52 west to highway 183. Follow highway 183 to highway 52 west. Turn left onto highway 52 west, Hillcrest is 10 miles on the left. Click here for a map and directions. You Pick apples available September and October weekends only; 9:00 am to 6:00 pm. Payment: Cash, Debit cards, Visa/MasterCard, Discover, AmEx. Click here for our Facebook page. Bluegrass bands and clogging groups perform each afternoon at the "Apple Pickin' Jubilee". Food is available outside in the food court or inside the ice cream parlor. See more photos and descriptions on this page! (UPDATED: August 07, 2017) . Comments from Blake: "If you haven't been to Hillcrest, then you are missing a Georgia institution! From the pig races, the moonshine museum, trike track, jumping pillows, apple picking, honeybee exhibition hive, live music on weekends, hayrides (both tractor and mule-drawn), this orchard has it all. They even have the only cow you and your children can milk in all of the Southeast! Going to Hillcrest is a must for my boys every Fall!" 3379 Tails Creek Road, Ellijay, GA 30540. Phone: 706-635-5898. Email: [email protected]. Open: Saturday 10:30am to 5:00pm Sunday 1:00 am to 4:00pm. Directions: Directions from Atlanta: Follow I-75 north to I-575 north. 575 turns into highway 515. Follow highway 515 to the first red light south of Ellijay at Long Horns. Turn left at the red light onto Howard Simmons Road. Go .6 miles and turn right on highway 5 north. Drive 1.7 miles to the red light and turn left on Ga- 282/US-76 west. Go 3.2 miles and the Red Apple Barn will be on the left. Click here for a map and directions. Payment: Cash, Check, Visa/MasterCard, Discover. Click here for our Facebook page. The Apple House carries a wide variety of different apple products, jams, jellies, syrups, ciders and baked goods. 274 Cedar Hill Drive SW, Calhoun, GA 30701. Phone: 706-629-5400. Fax: 706-629-6151. Email: [email protected]. Directions: national guard armory take hwy156 toward Rosedale, one mile on left New Zion church turn left, first road on left, look for long white fence on left....... Click here for a map and directions. Crops are usually available in May, June, July, August, September, October, November. Open: Weds. to Friday 830am to 700pm.Saturday 800am to 500pm Fax orders 24 hrs a day 706-629-6151 e-mail orders, questions, email request 24 hrs, mention Cedar Hill. Payment: Cash, Check. A visitor writes on June 19, 2016: "This farm is permanently closed as of June 2016, as per a sign on their gate.."
Comments from a visitor on July 10, 2012: "Spoke to Sidney Roland (the owner) and he said excessive heat killed this years blueberry crop." Comments from a visitor on July 30, 2010: "We visited this blueberry farm today and had lots of FUN! Mom and I turned into kids again while picking berries from the 6-8 foot tall blueberry bushes at Roland's. There is a table to borrow buckets from and a "pay here jar" at the entrance to the main blueberry field. As you pick the 1/2 cm to 2cm fruit here you can hear the Chattahoochee River and wildlife all around. Children can easily play hide and seek here as well as pick berries. If you go late in the day (we were there at 9am) they may run out of buckets to use. If you don't know what poison ivy looks like BE CAREFUL because it does grow under some of the huge blueberry bushes. If you don't want to bend over for berries there are PLENTY 4ft off the ground and higher. Even kids will find plenty of berries they can pick. GREAT PLACE!" 1455 Black Mountain Road, Dahlonega, GA 30533. Phone: 706-867-6426. Email: [email protected]. Open: see website. Click here for current open hours, days and dates. Picking updates: Click here for picking updates. Directions: Click here for a map and directions. Payment: Cash, Check. Black Mountain Forest Farm is just North of Dahlonega,Ga in Lumpkin County. We are in the foothills of the beautiful North Georgia mountains. Come see us for: Fresh blueberries u-pick from the more than 200 bushes. Picking buckets and bags will be provided. The season is usually from July 5 thru Aug. 5. Contact us or check our website (click on the name of our farm) at that time to confirm availability and farm hours. The 2014 price is $1.50/pint. Hayrides may be available for groups or families with prior notice. 2650 Highway 19 North Dahlonega, Georgia 30533 Phone 706-867-9794. Open: 8:30 am to 6:30 pm; Mondays to Saturdays; 11 am to 6:00 pm on Sundays. Picking containers provided; bring your own take-home containers. Payment: Cash, Check, only. Comments from a visitor on May 22, 2011: "Dahlonega Vegetable Farm Lumpkin County May 2011 Sunday we decided to go strawberry picking and found several ads on the internet for Dahlonega Vegetable Farm. I had read the info on your site so I was sure to call the number they provided to make sure they were open before we left. It was a little difficult to find and after turning around twice we finally came upon it. When we walked in the store the bins were barely filled with strawberries much less any other vegetables. I told the lady at the counter that we wanted to pick our own and she said they were not allowing people to pick today. I countered with but your phone line says that you are "open" today. She replied that the phone line was just for the store and maybe I should come back another day, possibly Wednesday but you never know. I was very irritated because we had come along way. I decided to buy some of their pre-picked berries even though they didn't look that great. To my dismay, once I got them home, most of the ones on the bottom of the gallon bucket I bought were rotten. I won't be back. They are not very customer friendly and it wasn't worth the trip. " Comments from a visitor on May 25, 2010: "We have been picking strawberries here for the past 5 years as a nice Spring tradition. We drive 35 miles to get there and normally it is worth it. Today we arrived about noon and they advised us that they had already picked that morning (which they always do) but didn't want anyone picking to let more berries ripen. Their recorded message says they are open for business and the farm hours but nothing about restricted pick-your-own berries. I complained about this never being a problem before, our long trip and no warning on their recording about any restrictions. The girl said she would tell the owner. This is our last visit to this farm with this kind of treatment of customers." Comments from a visitor on May 23, 2010: "We drove up to this farm and arrived around noon. The place was pretty empty of people and so we got to start picking without having to worry about waiting in line. They informed us that the Strawberry season started later do to our cold winter and they hope it lasts longer into the year. The plants were pretty empty by the time we arrived, but we were still able to pick about a gallon of berries between the two of us. They are not sure if they will have other veggies/fruits available for sale in the shop this year. Right now all they had was strawberries. They provide buckets to pick in and you can buy the bucket for $1. One bucket of BYO berries was $12. Checks and cash ONLY." Comments from a visitor on July 06, 2009: "This listing says to call first, but alas, there is just an answering machine...was there today (Monday, July 6th) at 4:30 pm and the place was closed...Fortunately I was already in the area so it was not a biggie...just very inconsiderate to not answer phones or have updated times on the answering machine. I also agree that the person talking on the answering machine is extremely difficult to understand. And if you go by the address listed, you will not drive far enough down the road...the mailbox is on the South side of the bridge and the market is just north of the bridge. " Comments from a visitor on July 03, 2009: "Very Disappointing. This farm listed many kinds of vegetables as well as blackberries, which we were looking for. We tried to call ahead more than once to see if the blackberries were ready, but NEVER got an answer, just a difficult-to-understand recording of a child's voice saying they were open and some of the things they had available. We decided to go anyway, called the morning we went, got the same indistinct voice mail saying they were open. We took the kids hoping for a fun morning of vegetable picking, only to be told when we got there that there was nothing left to pick in the fields, only produce in their market. And they Never had had blackberries in spite of their recently-updated listing on the web. We were very disappointed." Comments from a visitor on June 13, 2009: "We went yesterday (6/12/09) to this farm and they still have lots of Strawberries for picking. Beware that there are steep metal stairs that you have to go down to get to the strawberries. The people were friendly and the strawberries are delicious! We picked about 8 quarts of strawberries and it was $15. Our children were able to eat as they picked. The farm is maybe 10 minutes or less from downtown Dahlonega. Bring your own container to take the strawberries home. 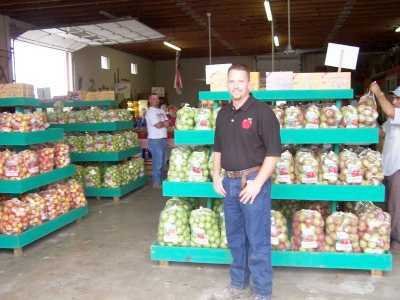 Also they have great vegetables and other fruits at good prices." starts around June 30; and Every Day store is open till Blackberries are Gone. Call or check Facebook for price and daily availability. Pick your own apples inm September. Corn maze in September. VISITING THE ANIMALS: Does not cost anything to go see the animals. There are food machines that cost a quarter out at the barn or you can buy a bag of feed in the store for fifty cents. HAYRIDE - The hayride around the farm will be running starting the first weekend in October. Cost $2 per person to ride. This attraction does stop for a visit at the barnyard. THE TRAIN - The train runs every hour around the farm. Nice, easy ride. $4 per person. This ride is a continuous ride around the farm. 18 Sorghum Mill Drive, Lakemont , GA 30576. Phone: 706-782-2776. Alternate Phone: 706-782-4995. Fax: 706-782-7848. Email: [email protected]. Open: Monday to Saturday from 9:00 to 5:30, Sunday from 10:30 to 5:30. Click here for current open hours, days and dates. Directions: 441 highway 2 hrs north of Atlanta. Left on Wiley Connector, Right on old 441 north 7/10 mile. 7 miles south of Clayton Ga. Right on Wiley Connector, Right on Old 441 North 7/10 mile. Click here for a map and directions. blackberries july apples August September. PICK YOUR OWN APPLES n September; Check on Facebook and their website for details. Payment: Cash, Check, Debit cards, AmEx. We have over 600 Jams, jellies, Pickles, Relish, Ciders, Hot Sauces etc. made at our modern processing plant near our Country Store. Kids Gem Mine. . Click here for our Facebook page. Comments from a visitor on July 26, 2009: "I have to say that this blackberry crop is the most amazing I've ever seen. Thornless bushes w/ berries the size of jawbreakers! They're awesome this year. My wife and I went on a Saturday and there were only 3 or 4 others there picking. We had over 14 pounds in 25 minutes. It was so fun I took my children back a few days later and we got another 8 pounds. This is going to become a regular stop for us in mid-July each year. Staff was friendly; store was clean; bathrooms accessible and clean." 5030 Hwy. 441 North, Rabun Gap, GA 30568. Phone: 706-746-6952. 1309 Bethel Road, Tiger, GA. Phone: 706-782-3290. Email: click here for our contact form. Directions: U.S. 441 (8.5 miles north of Tallulah Falls). Crop availability: blackberries July-August; raspberries July 15 through August; grapes in August. Open: dawn-dusk, every day in season. Call for availability. . We supply the containers. Check orchard weather and forecast on our website. Finley Rd, (off of Hwy 17), Toccoa, GA 30577. Phone: 706-244-0720. ALternate phone: 706-886-4042. Open: starting July 1. Directions: None provided. Payment: Cash, only. This was provided by a visitor, so I have no additional information. If you go there and can obtain any other details, please write me!.!. 162 Hardy Road, Martin, GA 30557. Phone: 706-491-3399. Alternate Phone: 706-779-6990. Email: [email protected]. Open: Please call for picking times and availability. Directions: We are 11 miles from Exit 173 on I-85. Click here for a map and directions. Gum Log has Blueberries in June and July, Muscadines in August and September. Payment: Cash, Check. We also have Christian art. Note: as of May 2014, their website is down, say they may have closed down. 5038 Hwy. 76 E., Hiawassee , GA 30546. Phone: 706-896-4893 Click here for a map to our farm. We are open August, September. Our hours are: Monday to Saturday, Call for hours, directions and availability before you go! Bring your own containers to take home - containers are furnished for picking; 2004 prices: $5/gal. 596 Crump Creek Road, Blairsville, GA. Phone: 706-835-1607. ALternate phone: 706-897-1164. Email: [email protected]. Open: Monday - Saturday, 10am-5pm; Sunday 12pm-4pm. Other crops (already harvested): Tomatoes, Pickles, Squash, Corn. BBQ will also be served Friday, Saturday and Sunday. 2531 Owltown Road, Blairsville, GA 30512. Phone: 706-745-0601. Email us at the website. Directions: From Blairsville Georgia: From old courthouse downtown Blairsville, take highway 129 South. Go 4 one half miles take right on Hutson road. Follow signs Plantation on your left. We are open October, November, December. Our hours are: Fall Season: October 1 - October 31. Friday 12:00 - 6:00. Saturday 10:00 - 6:00. Sunday 12:00 - 6:00. Christmas Season: Thanksgiving day - December 23. Monday to Saturday 10:00 - 7:00. Sunday 12:00 - 7:00. In addition to the thousands of pumpkins and Christmas trees grown on the plantation, loads of fun activities are available. 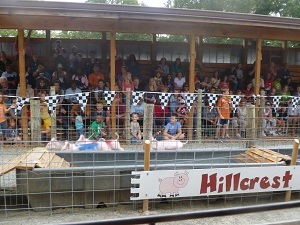 Hay rides, kids train ride, pony rides, petting farm, maze, barnyard playground, and more. Open for Fall, Christmas, and summer seasons to the public. Open year round for groups. We cater to company picnics, family reunions, church outings, birthday parties, class reunions, weddings, etc. all year long. 9701 Highway 75 North Helen Ga. 30545. Phone: 404-906-6087. Email: [email protected]. Open: Monday to Saturday from 9amto 7pm; Sunday from 10am to 7pm; Open All Year. Click here for current open hours, days and dates. Directions: Payment: Cash, Debit cards, Visa/MasterCard, Discover. Click here for our Facebook page. Comments from a visitor on July 07, 2010: "Visited this farm three times. Just call before going(to verify availability (I know they had to close down a couple days to let berries ripen) or email-they will contact you. I cannot wait to return next year. Very friendly people." 5433 Red Clay Rd, Cohutta, GA 30710. Phone: 706-264-9633. Alternate Phone: 706-694-3440. Fax: 706-694-4350. Email: [email protected]. Open: Monday to Saturday, from 7:00 am to 8 pm; June and July. Directions: Cleveland Highway north (from Dalton) turn left at Cohutta exit; turn right on Red Clay Road - go past Fish Hachery; number on mailbox. Click here for a map and directions. Payment: Cash, only. 302 Prospect Rd, Toccoa, GA 30577. Phone: 706-491-3730. Email: [email protected]. Open: Events held at anytime. Directions: Click here for a map and directions. Payment: Cash, Check. Services: We offer a service for birthdays, private events, schools, libraries, whatever the need may be. We bring out several different livestock animals to any location and provide education and games dealing with farm animals. Birthday Parties , Private Events, Schools , Libraries, Whatever the need may be!!!!. Herron Farms - Earthworms, Nightcrawlers, Nuts and fruits in season. 83 Hickory Trail West, Dawsonville, GA 30534-5233. Phone: 706-531-9917. Email: [email protected]. Open: All Year, Basic 9-5 but will work with people that call or email and need more time. Directions: See their website for directions. Payment: Cash, Check, Debit cards, Visa/MasterCard, Discover, AmEx . A self sulf-sustaining Organic Mini Farm in Dawson County, Rabbits, Chickens, Bantoms,Eggs, Earthworms for composting or fishing. Nightcrawlers. Nuts and fruits in season.